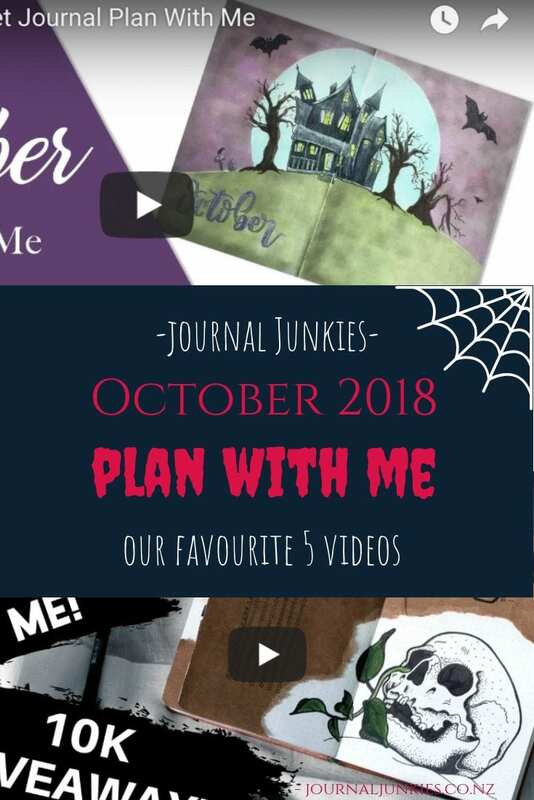 Before we started looking at Plan With Me videos for October 2018, I had decided I wanted to share spreads that had nothing to do with halloween. Do you know how I got on? I failed, miserably. 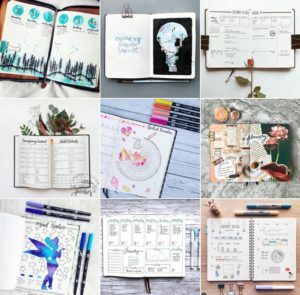 It looks like the Bullet Journal community just loves halloween, and why not? For most, the memories of halloween past include being cosy on the couch, watching scary movies and eating lots of candy. 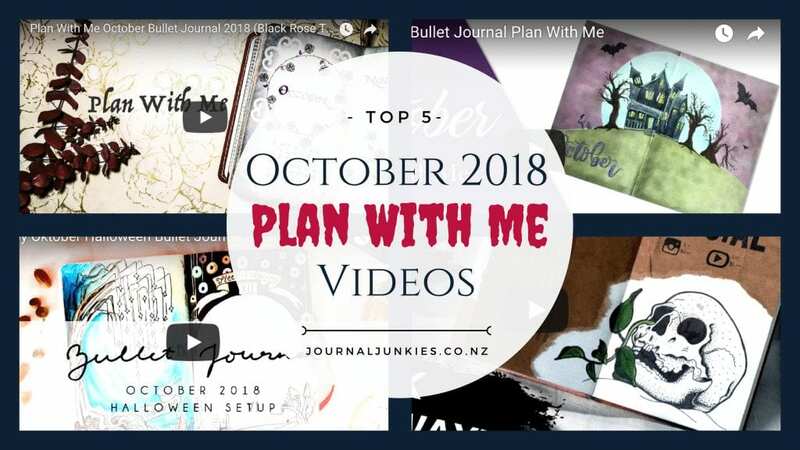 So proceed to be spooked by the creepiest of October layouts for your Bullet Journal! We love seeing your work! 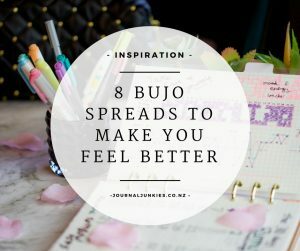 Tag us on Instagram [@journal_junkies] for a chance to be featured on our account, or simply follow us as we hunt down the coolest spreads and ideas from around the world! Mixed media Dutch Doors with It’s Me, Andie! This isn’t the first time we’ve featured Andie, and it’s surely not going to be the last. Even though she admits to not being a fan of halloween or pumpkins, she definitely nailed the creepier side of life. In this Bullet Journal video, she uses brown paper bags – leave the scissors at home to get that texture – around her spreads and drawings. She elects to ditch the monthly layout, and instead chooses to create Dutch Doors for the whole month. Unfortunately, we don’t get to see what goes on underneath the doors. If you’re reading this Andie, we want to know!! Keen to try making your own Dutch Doors? Read our ultimate guide, here. While this video is in German, it does have subtitles and you can simply be inspired by the pictures! I’ve included this video because I love the designs – think Tim Burton meets Harry Potter – but can I also shout out to Sarah who wore her halloween costume for the video! She’s even got a mood tracker for her baby, which is such a lovely idea. Can’t wait to see how that sleep tracker turns out, Sarah! 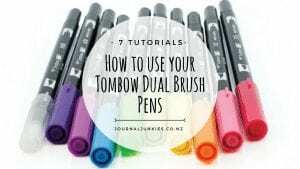 Grab yourself some Tombows to paint with! Free shipping on orders over $100! If you like artistic Bullet Journals, you’ve got to check out this one by Amanda from Eclectic Scribbles. She creates stencils of all the elements she wants to include then sticks them down to fully watercolour the background without obstructing the shapes! It’s genius and creates a gorgeous effect. 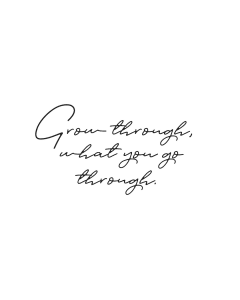 We sell lots of stencils you can use in your journal! Check them out. Well, search no more my friends, because I have found a spectacular Bullet Journaller who sticks to the TN size (hint is in the name). 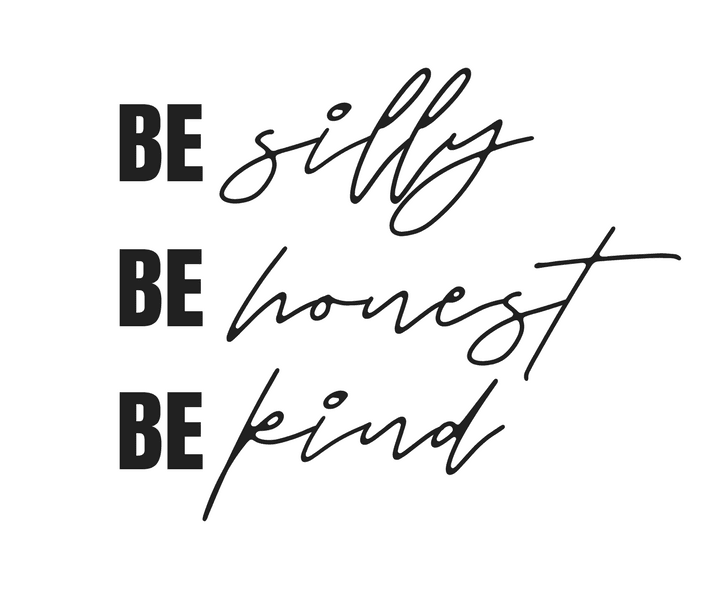 But smaller definitely doesn’t mean less when it comes to inspiration. Her designs are stunning, borders made with sticky stencils (we’re tracking them down, you guys) and a fountain pen for the writing! I don’t know how she manages to fit everything into her little calendar, but I don’t think I’d care if my monthlies looked like that! 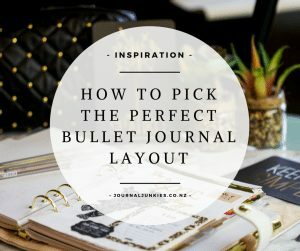 If you’re still enjoying tracking in your bullet journal, read our Ultimate Guide! If you follow us on Instagram, you probably already know we’re big fans of JashiiCorrin, and it’s not just because she’s a fellow Kiwi. Her spreads are always super practical, while still being colourful and bold. In this Plan With Me, she flicks through her September spreads – which were super awesome, btw – and uses jagged text, stone-looking arrowheads and heavy drop shadows to really get in the creepy spirit. I love how she has replaced bullets with stars this month, too! Join our club to get exclusive discounts, ideas and inspiration, straight to your inbox! This entry was posted in Plan With Me and tagged 2018, bujo, bullet journal, october, plan with me.